A lover of arts and crafts, Shasta Matova enjoys making artistic, applique, pieced, traditional, miniature, modern, and crazy quilts. Danger lurks everywhere in your sewing room. There are sharp pins and needles ready to poke your fingers and your eyes. The iron is hot and ready to brand you. The sharp blade of the rotary cutter is ready to trim your fingernails and even your finger. Of course, you are going to try to protect your children and pets by keeping the dangerous supplies out of their way, but unless you don't use your equipment at all, you are going to have to find ways to work with these tools without getting hurt yourself. The most common mishaps happen with rotary cutters, pins and needles, the iron, thread and the sewing machine. This article will help provide guidelines to avoid the most common quilting mishaps and use your quilting supplies safely. 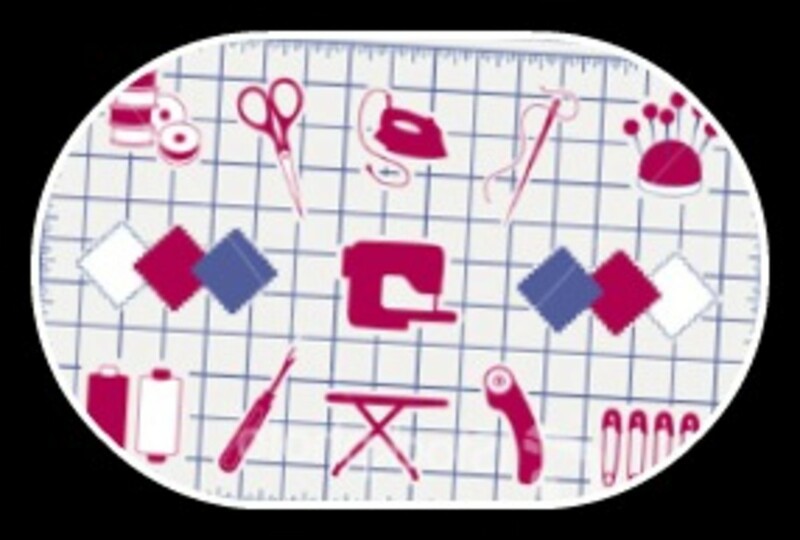 Here are the five most common dangers in the quilting room, from least common to most common. When people think about safety, they generally are thinking about avoiding cuts, falls, burns and things like that. We also need to consider the abuse we give our bones and muscles when we slouch awkwardly for hours at a time and get into uncomfortable positions for bending, kneeling, stooping and lifting to achieve the results we want from our quilts. When thinking about quilting safely, make sure that your equipment is properly positioned to work ergonomically for your body type. Your sewing machine, cutting table, and sewing chair should be at the right height and allow you to work comfortably using a good posture. Most people do not think of thread as being dangerous. It usually isn't, but there are ways that thread can be dangerous. Thread can easily unwind from the spool when it falls and rolls away. Since it is so thin, you may not be able to see the thread itself, especially if you are not expecting it. If you don't find it and put it away, you or your loved one can trip over it. The thread can get knotted and become unusable, thereby costing you money to replace it. The easiest way to prevent this is to make sure you put away the thread properly. Most spools of thread have a notch at the top which is designed to hold the loose thread. Simply place the thread in the notch before putting the spool away. Some quilters go the extra step and put a hair tie around the thread to hold it in place. Be sure to put the thread in a box or thread holder as soon as you are finished with it. Another way thread can be dangerous is on the quilt itself. 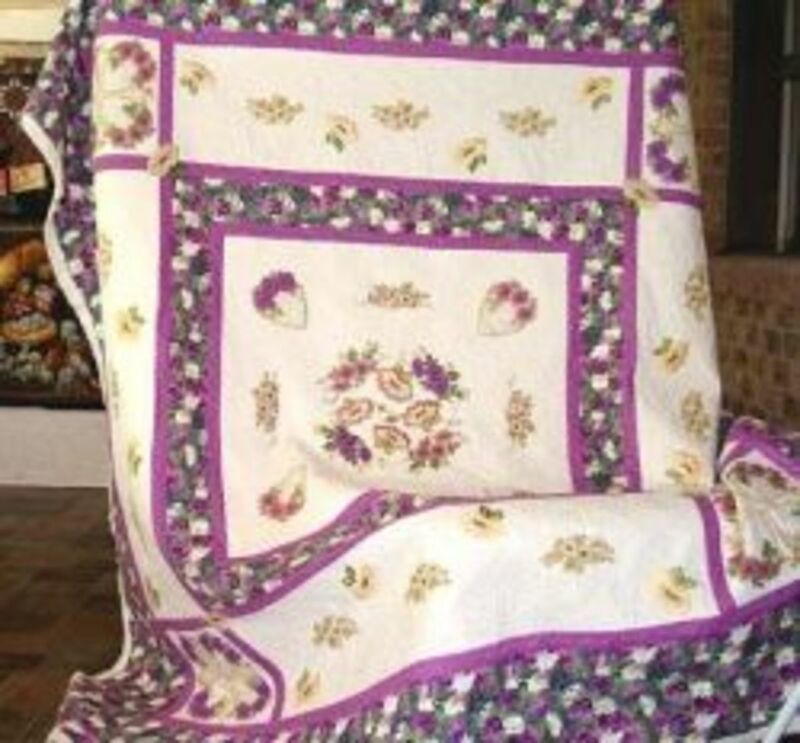 If there are very long stitches on a quilt, it is possible that a baby's finger may get caught in the thread which possibly cut off the circulation. Be sure to keep an even stitch length, especially for baby quilts, and correct any long stitches before letting a baby use it. Needles and Pins, Oh My! Quilters use a lot of pins and needles for quilting. 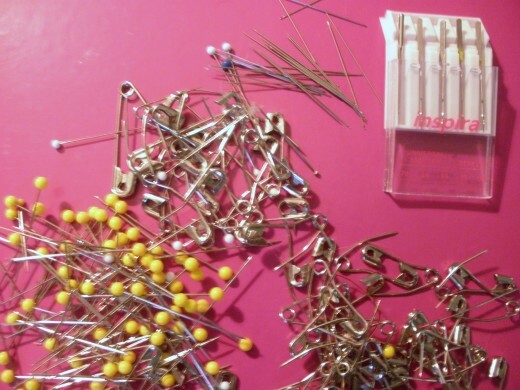 There are a a lot of little sharp things in the sewing room including straight pins, applique pins, needles, safety pins, needles, and sewing machine needles. Mishaps with pins and needles are the most frequent, but most of them are minor. You may prick your finger and sometimes get a drop of blood or two on your quilt. But some of them can cause a trip to the emergency room. One day, I was getting ready for work when I stepped on a needle that was sticking out of a spool of thread, as shown in the photo at the top of the page. I had thought it was a good way to keep the needle where I needed it, but spool had fallen on the ground. I stepped right on the needle, and it became lodged in my heel. My family members were not willing to pull it out, so I had to go to the emergency room. The doctor had to x-ray my foot to make sure that the needle went straight in and was not broken, and then pulled it out. He also recommended a tetanus shot. To prevent these kinds of accidents, be sure to keep a watch on your pins and needles and pick them up as soon as you hear one drop. A magnet can help you get those stray pins and needles if you cannot find one. When you are finished for the day, put your pins and needles away in securely closed containers where they cannot accidentally get knocked over. I like to sweep the floor at the end of the session to make sure I didn't miss any that fell to the ground. When you are quilting, you can use a thimble to avoid calluses and pin pricks. 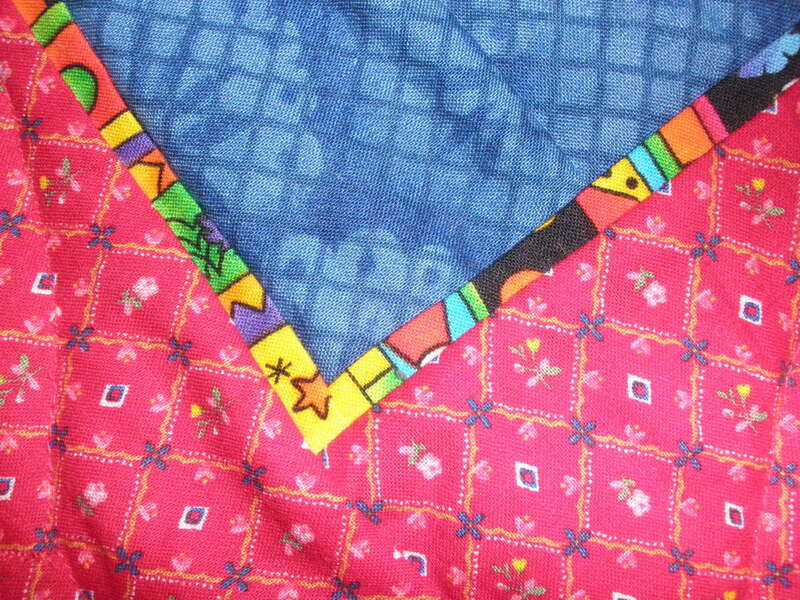 Have you ever had sewing or quilting mishap(s) that required a doctor's care? Everyone knows that a sewing machine needle is dangerous. The needle moves up and down very quickly with a lot of pressure, and is sharp enough to go through layers of material. 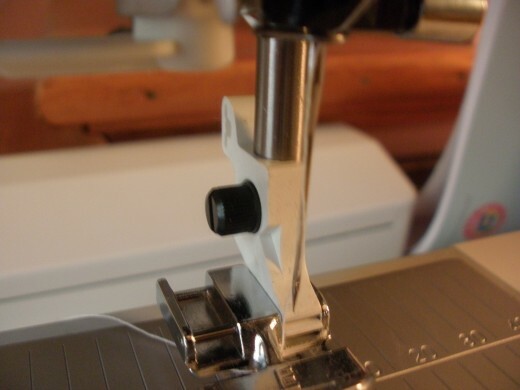 We all try to be careful, but sometimes especially when trying to maneuver their quilt for free motion quilting or their fabric seems stuck, it is easy to forget the needle as they try to force the fabric through the machine. The needle can then stick through a nail, or through the finger, causing profuse bleeding and a trip to the emergency room. We want stitches to be on the quilt, not on our fingers. Be very careful around the sewing machine, especially the needle. If you are having trouble maneuvering the fabric through the machine, relax and stop the machine. Then check to see if there are any threads stuck on the foot. 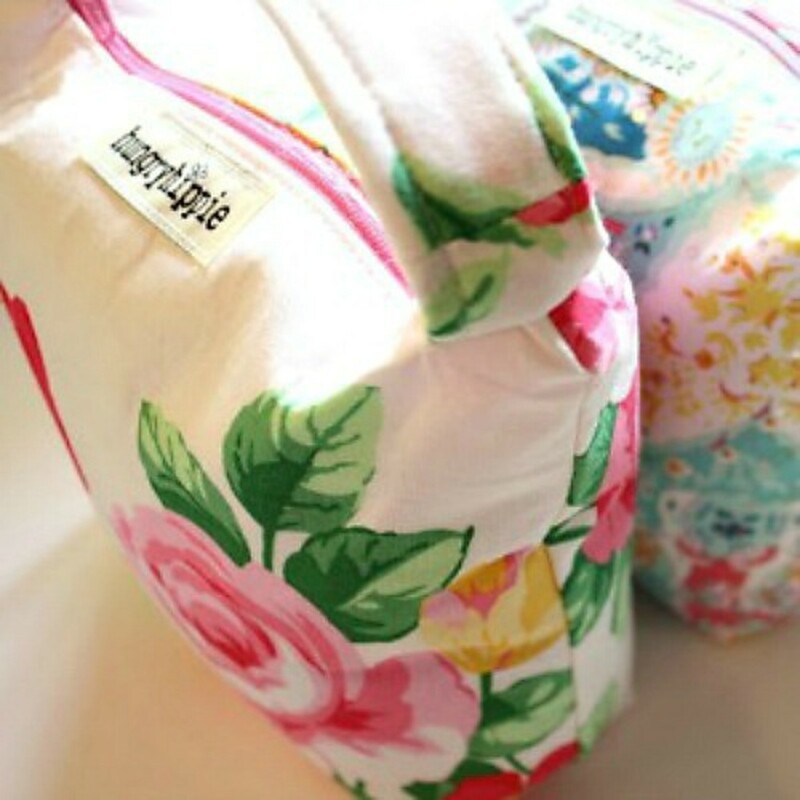 Determine the problem and fix it before continuing with your sewing. You may want to change feet. Whatever you do, keep your fingers away from the needle. No quilt or sewing project is more important than your own health. Another way the sewing machine needle can hurt you is by breaking and flying on to your face, possibly into an eye. This can happens when you are causing stress on the needle by trying to maneuver thick fabric too fast, but the needle breaks more often when you run over a pin. It is very important to not run over pins. The best way to avoid this problem is to take out the pin just before it goes into the machine. Keep the cords out of the way, so you don't trip over them as you walk to the iron or cutting table. An iron is a device that has to heat up in order to work properly. It can cause serious burns very quickly. Often, the only way to tell that it is hot is a little red light on it. Teach children to stay away from the iron, and keep it in an out of the way location. Hot irons can also cause fires. At the end of the day, be sure to turn it off. You can also buy irons with an automatic shutoff so it will turn itself off after a designated period of time. Also take the plug out. I like to plug in the iron in an outlet that works with the light switch. That way, even if I forgot to turn it off and unplug it, the iron is automatically turned off when the light gets turned off. 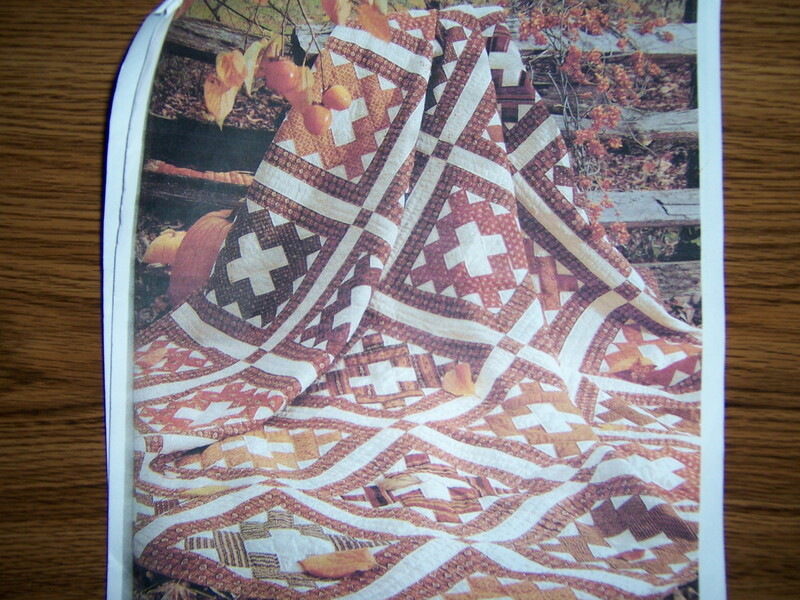 The most common accidents in the quilt studio are caused by rotary cutters. Many people have gotten nicks or cuts with a rotary cutter. There are several ways to avoid this. Use a sharp blade on a rotary cutter. This may seem counter-intuitive, since a sharp blade seems more dangerous, but when the blade is dull, you have to work harder to get it to cut. A sharp blade makes cutting fabric easier, with less exertion on your part. 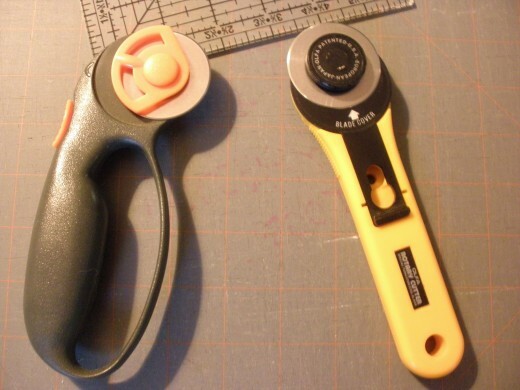 Keep your fingers folded down on the ruler and stay clear of the path of the rotary cutter. Consider using gloves that are designed to be cut resistant. Always push the blade away from you, not towards you. The blade might slip and cause it to come towards you faster than you expected. Always retract the blade before you put the rotary cutter down. My rotary cutter has fallen down to the floor many times, and could have nicked my foot if the blade had not been retracted. When finished, store the rotary cutter out of reach of children and pets. While you are thinking about creating beautiful works of art with your quilting, be sure to keep the safety tips in mind. Keep potentially dangerous objects out of reach of children and pets. Take pins out as you sew so they don't get hit by the sewing machine needle. Put away your pins and needles in secure containers. Clean up the floor for any stray pins or needles. Wear gloves for cutting and pressing. Keep your fingers away from the sewing machine needle. Use a thimble to protect your fingers from calluses and pinpricks. Make sure your equipment is ergonomically fit for your body. Do not quilt when tired. Quilting is an enjoyable and rewarding hobby, but only if you can avoid these common mishaps in the sewing room. Shasta Matova writes under the pseudonym Millionaire Tips on Hubpages.com. She has been quilting for more than two decades. Comments: "Safety Tips for Quilters"
I'm glad you have been able to stay safe while quilting, notsuperstitious. I just dropped a rotary cutter the other day - scary! - but I was able to move out of the way in time. Very useful safety tips, especially for the rotary cutter. That thing is dangerous. I make sure I close mine all the time. I never had an accident yet, but I found out that you should always use a wide ruler when cutting, as there is more room for your fingers. Thank you Crafty for your comment. Rotary cutters are indeed sharp. I try to close the safety every time I lay it down, but it is hard to remember. Great idea to keep them in a locked cabinet to keep them out of harms way for the children. This is such useful advice. I've had my own painful experience with a rotary cutter. Those things are so sharp. I keep all of my sewing tools and cutters in a locked cabinet so that my children cannot get in to them. Rachel, sorry about your mishaps, but you certainly know how dangerous a sewing room can be. Glad you are taking precautions for your toddler. Very important info here - and some stuff I hadn't thought of before. I've sewn through my finger on 3 separate occasions (you'd think I'd learn) but thankfully none were serious enough to need medical attention. I literally just burnt my arm on the iron this week whilst quilting! I also purchased a rotary cutter but I got one of those ones that has a retractable blade - I have a curious toddler so I had to think ahead! This is definitely a hub I should reread! Thank you moonlake. I sometimes leave my rotary cutter open too, but I do try to always close it before putting it down on the table. I am so bad about leaving my rotary cutters open. I have to try to remember to close them when not in use. Great hub Voted up. Thanks Roberta. That is true, all crafters need to be careful when using their tools. Thanks ludlowquiltandsew. I always tried to be careful with rotary cutters, but found that the iron and pins and needles to be the ones that caused me injury! An informative and well thought out article. Rotary cutters can be particularly dangerous, but you have highlighted other areas that I hadn't thought about before. Many thanks. 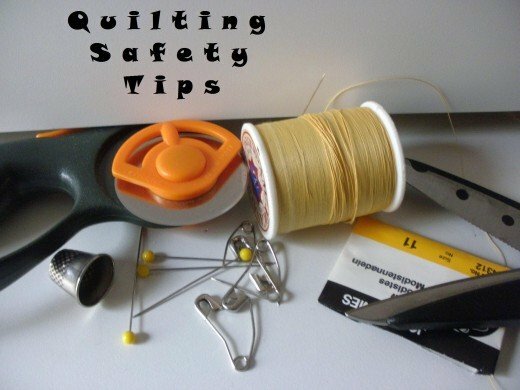 Not only is this a smart look at safety for quilters, but it would be helpful to anyone crafting by causing them to take a cautious look at their tools and work environment. A great idea for a hub and very well done. You should be expecting an award of some sort in the future! Thank you GTF. It is easy to forget our fingers are in the way when we are so focused on the fabric and where we want the rotary cutter to go. Thanks Aurelio. Quilting and sewing don't seem to be dangerous hobbies, but there are lots of sharp supplies. We have to be sure to protect ourselves and our children from their dangers. I never thought of quilting as a hazardous hobby but you raise potential problems and solutions quite well. Voting this Up and Useful. Very useful hub. I can't tell you how many times I have sliced my finger with a rotary cutter. Pinned. Thank you Rose. You are right, safety is important in many types of art, including sewing. Thanks tirelesstraveler. I am sorry for your mishap, but am glad that you were able to take care of it at home with ice. Safety is important to keep in mind not only for beginners, but as veterans, we tend to forget the basics as we expand our skills. Thank you Same DiNamics, you are right, safety in sewing is important not just for quilters, but for anyone who sews. You have additional challenges of dealing with small children and a public sewing area. When my daughter was younger, I found that letting her help me with certain tasks kept her away from the dangerous objects. She could choose fabric / fabric combinations and draw me quilting designs. As she got older, she was allowed to do some hand sewing, and machine sewing, after I explained to her about the sharpness of the needle, so she could learn to use these tools more carefully, with diligent supervision of course. Have never needed doctors care, but have sewed my finger into a seam. Grandma was letting me use her treadle sewing machine to make a swim suit cover-up. Racing down the seam ,peddling as fast as I could the needle ran up my finger. Lucky for me I wasn't very strong and stopped peddling. Grandma pulled the needle out then put my finger is a bowl of ice. It is never bad to be reminded of safety tips. Many of these tips are useful for all kinds of sewers! Thanks for the great resource. Safety is such an important aspect of many types of art. 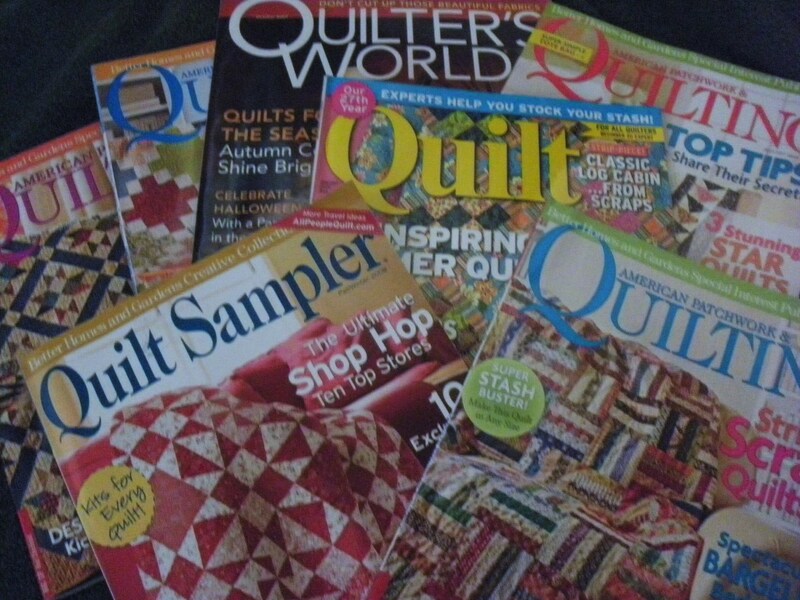 Great, informative hub, not only for quilters but sewers of all variety. I sew every now and then and can certainly use the tips on pins and needle safety. I have little boys who like to "help" when I'm sewing. It's a battle to keep them away. I don't have a studio so my dining room table doubles as one.